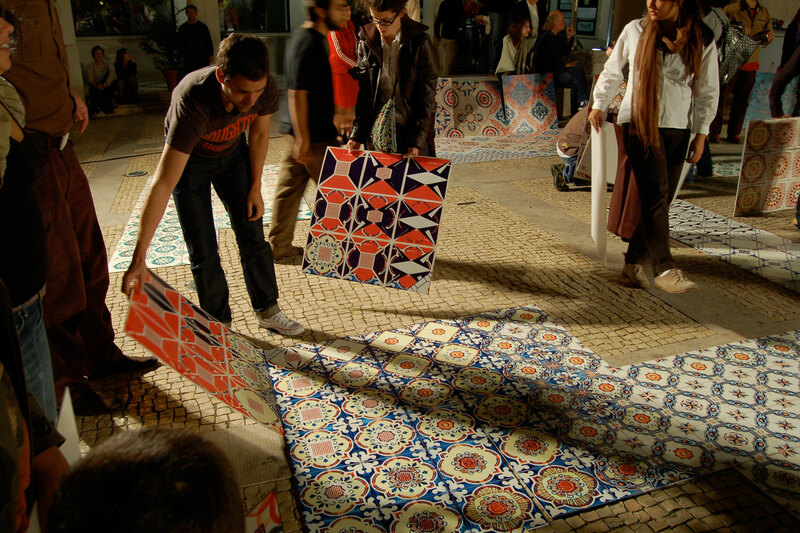 The prominence of tile design defines Portugal’s built environment. In Torres Vedras this distinct use of tiles punctuates the town. 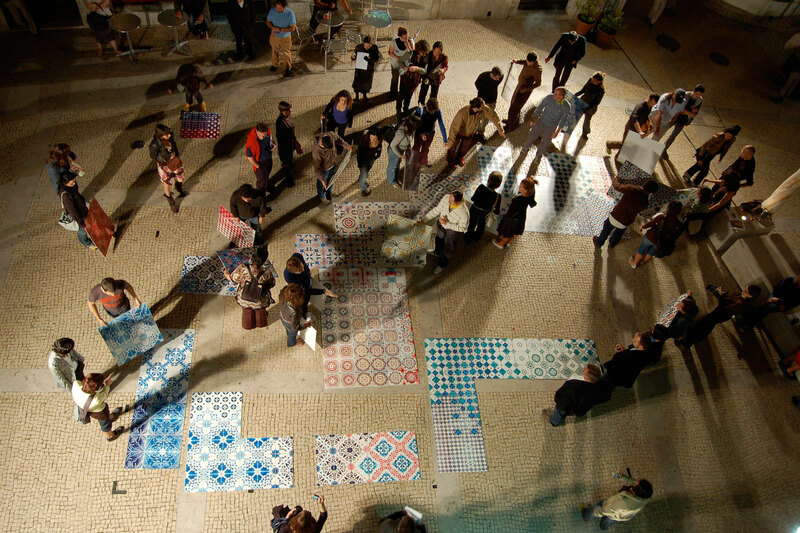 Horror Vacui surveyed the town’s architectural tiles creating a decorative, non-functional representation of its structure. 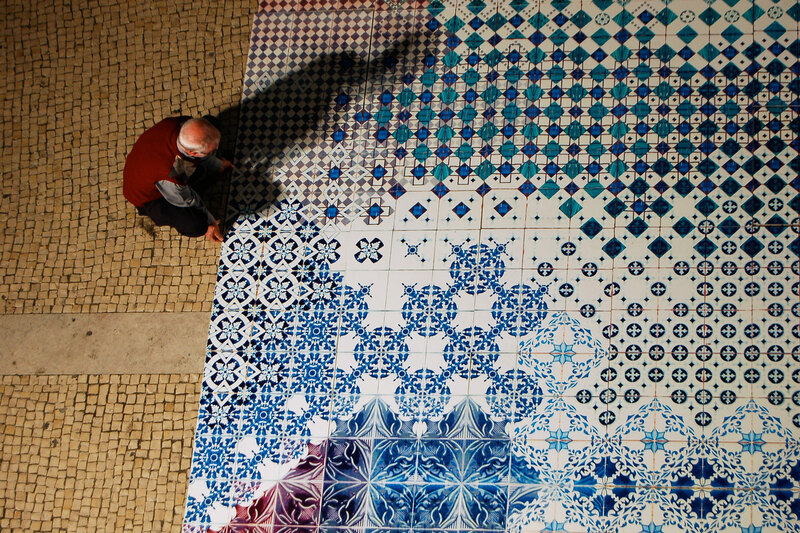 This database of tile motifs was used to create a puzzle formed by hybrid designs, mutating the tiles’ diverse repeating patterns.The tiles were posted to 100 individuals across the globe, who converged in Torres Vedras to construct the floor. 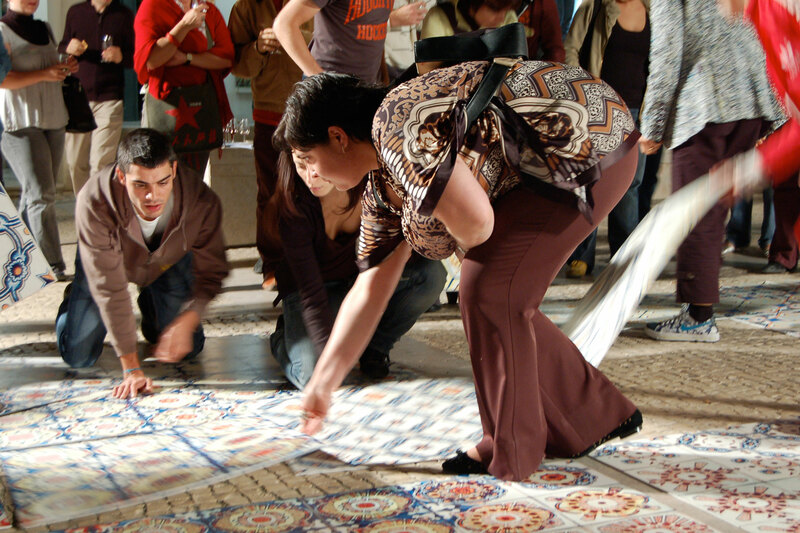 The participants negotiated with each other to complete the puzzle. 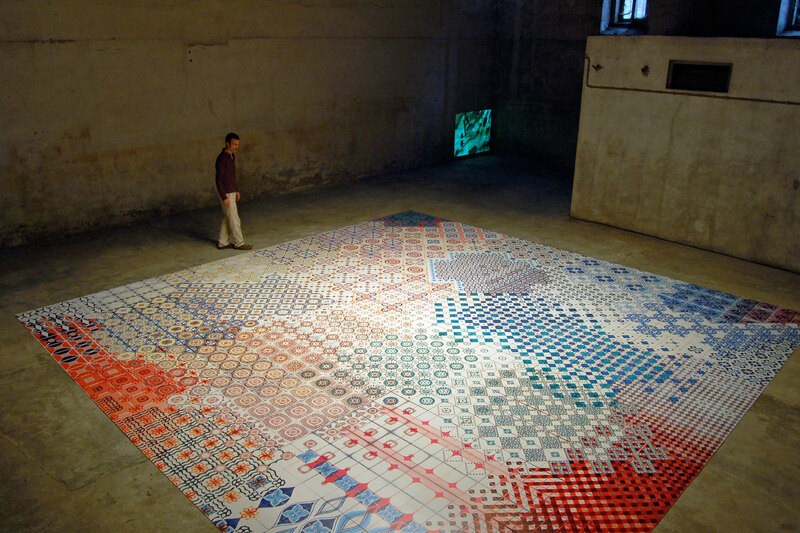 Each side of the tiles had a unique pattern, which only aligned with one side of another tile. This process of documentation, deconstruction, mutation, dispersal, convergence and reconfiguration used Transforma’s network to create the work’s narrative.